Bad Realtors. Reasons home sellers should, but don't, complain about them. Bad property flyers, using those same bad photos printed on cheap paper (possibly in black and white). Plus, after the initial 20 flyers are gone, they never get replenished. Poor communication skills and not listening. Unresponsive and not returning calls. Late for appointments (except when trying to get the listing). Their voicemail is full or they don’t identify themselves or their brokerage on their greeting. Alternatively, their greeting says they are currently out of town on Christmas vacation although it’s now June and it’s 85 degrees outside. Seller gets passed over to the agent’s assistant and never sees self-proclaimed "#1 Realtor" again. How many #1 Realtors can one neighborhood have? Says de-cluttering, cleaning and staging is a waste of time. “It’s a hot market, buyers won’t care, just stick it on the market as-is”. Bad pricing strategy (too high or too low). One sentence on-line listing description….”HURRY! THIS ONE WON'T LAST LONG” (invariably it does the opposite). Encourages the seller to accept the first offer that comes in the door regardless of how good it is. For sale sign sagging at 45 degrees (most definitely not due to the weight of non-existent flyers). Spends nothing out of pocket and does the absolutely minimum while still expecting the maximum commission possible. Some reasons why home sellers don't complain more often. People tend to go see their doctor or dentist at least once a year for an annual checkup or more frequently if you have some medical issues. They learn to recognize a good doctor from a bad one and are able to distinguish good bedside manner from bad. However, when it comes time for brain surgery (hopefully you never need it) you have no idea what being a good brain surgeon entails, how to find one and more importantly how to screen them. You go on BrainSurgeonsAreUs.com and pick the nicest looking one and you’re good to go! The majority of homeowners don’t sell their homes very often, in some cases a homeowner hasn’t listed a home in decades. Therefore they are naturally not familiar with the whole home selling and listing process. .
We Realtors shouldn’t forget that for most home sellers, the whole process is a one giant mystery or they have some fuzzy, HGTV-fueled impression of just how easy the whole process is. Therefore many sellers are none the wiser and have no idea what is considered a decent level of service. Plus, they are so overwhelmed by getting the home ready, moving, de-cluttering, scrubbing and cleaning, taking up smoking for the first time that they don’t have time to realize that they are getting poor service. Spending some time educating yourself, doing some research and learning how to interview real estate agents to sell your home will go a long way toward having a successful outcome. All while retaining your sanity! Well, most of it at least. 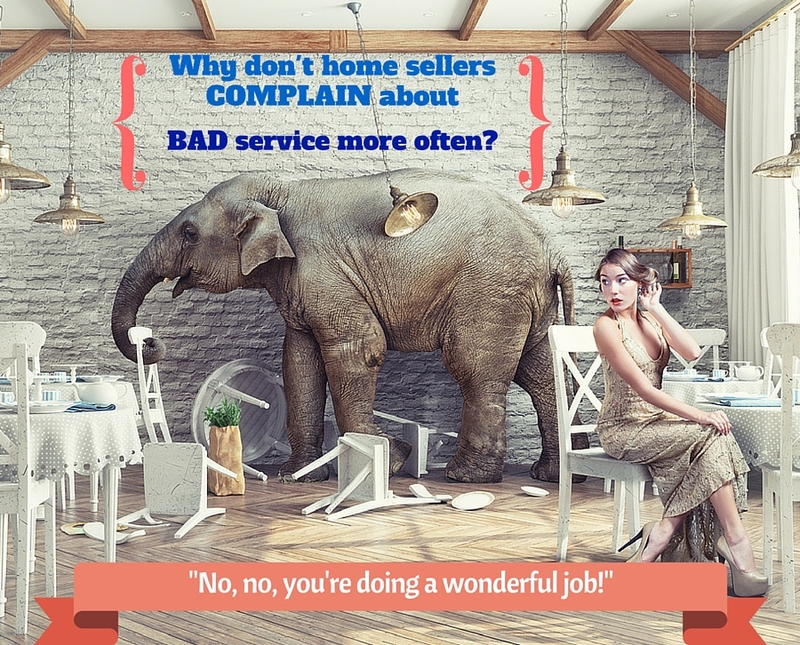 Reason #2: Sellers know they are getting bad service but are afraid to complain. My parents would prefer to be sucked into a low flying jet propulsion engine than get out of their comfort zones and directly complain about bad service. They would complain to me but never to the perpetrator of said bad service. A lot of people are probably like my parents and prefer to suffer in silence rather than say anything. In fact, some people probably secretly enjoy having something negative to dwell on. Fortunately, I’m a little feistier and more than happy to tell the waiter if the food is really bad, I rarely do it, but if it is, then why not say something rather than griping to your fellow diners? As long as you’re not being a spoiled little Prima Donna, then speak up! But I do tip well for good service. My parents tried to raise me to never question our doctor’s, lawyer’s or priest’s opinion and above all, God forbid, never question anything the Pope said. They were raised not to question authority but fortunately they failed abysmally in my case. The Pope is one thing, but not questioning your Realtor is another. You are paying a significant chunk of money for good service and you’re not getting what you were promised. Of course you should complain. Once you get the hang of it, it’s easy and quite liberating. Just because your agent is a professional, doesn’t mean they are being professional. Take control and tell them how you feel. Politely as possible of course. Sometimes, the squeaky wheel really does get the oil. Home seller Dave is well versed in the home selling process having bought, sold and moved a number of times over the past few years. He gets a call from his buddy Bob who heard that he will be relocating for a new job. Bob recommends his son Dan who just got his license (we all have to / had to, start some time! Me included. Nothing wrong with that). Dave is now in a bit of a bind. 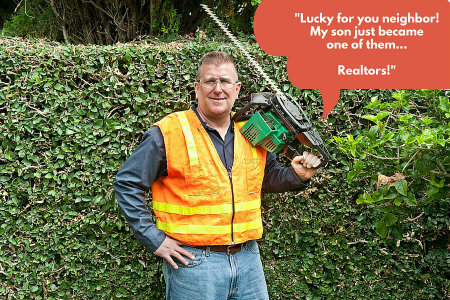 Bob has been good to him ever since he moved into the neighborhood even if he never returned those hedge trimmers! They go for beers and play golf badly together at least twice a month. Dave already knows of a good local agent but out a sense of loyalty and obligation agrees to meet with son Dan. Dave already knows that Dan is a really decent guy but is nowhere as good as his first choice agent. However, to appease Bob he goes with Dan thinking that with his past experience of selling his own homes he can guide inexperienced Dan. Subsequently things go pear shape. Dave won’t complain because he doesn’t want to jeopardize his relationship with Bob, even if he is moving fours states west.....plus he wouldn’t mind getting those hedge trimmers back! This is always a difficult position for sellers. There are pros and cons to working with family or friend Realtors. If you are put in this situation, the easiest way out is to just say you have already signed an agreement with your regular Realtor and they have already done a bunch of background stuff on getting your home ready for market. Dave should tell Bob he is really grateful for the recommendation but how about they just go play a round of golf and have some beers. Dave should definitely pay for the beers. Reason #4: "Just sell the darn thing, I don't care"
They do exist, but some sellers just want to be rid of a particular property and couldn’t give two hoots who sells it and how much they get for it. The sellers might be going through a nasty divorce and just want to move on with their lives and be done with each other. The seller might be aware of some “issues” with the home and is looking for a quick sale hoping that no one will spot the issues he forgot to mention on the Seller Disclosure Statement….. before that sink hole gets too obvious. Seller living out of state and has no idea what’s going on. Reason #5: "My home is already on the market, my agent is an idiot, but I can't take it off the market now!" The home hits the market (with little fanfare). The seller was always a little uneasy about hiring that particular agent and now they are certain they made a big mistake. Their agent is spectacularly accomplishing most of the bad agent criteria listed above. The seller feels trapped. They are annoyed with themselves that they fell for the agent’s smooth sales pitch, sharp suit and shiny Lexus in their driveway. “Well, it’s too late now, I’m stick with him now. I signed a contract”. "How can I fire my real estate agent?" Yes, you did sign a contract and it is legally binding. But that doesn’t mean you can’t complain about the inferior service that’s being served up to you. If you are unhappy, say something! Ask your agent to come over to your home, sit them down and tell them it’s YOUR home and YOUR hard earned money and you are not happy with the level of service. Just might do the trick. If that doesn’t work, call the agent’s managing broker and see if he or she will help. Your level of success will depend on whether they are an agent-focused or customer-focused company. Option #1: Wait until the listing period in the contract expires: If the listing period is for say 3 months and home does not sell within that period then the contract expires. You agent them removes the for-sale and you part ways. You are now free to go find yourself a really good listing agent. You’re a lot savvier now after all. Once bitten, twice shy! One caveat you need to be aware of as contained in the contract. In Seattle real estate for example, if you sell your home within next 6 month following expiration of the initial listing agreement to a buyer who discovered the home through the marketing “efforts” of the slacker listing agent, then legally you would be liable to pay the full commission to that slacker agent. Yes, that sounds a little unfair since if your agent was any good they should have sold your home while it was listed for sale. 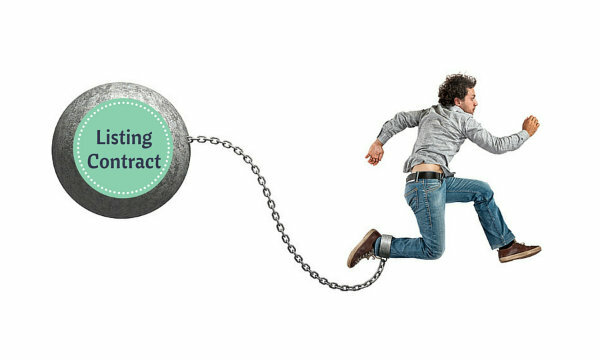 Option #2: Cancel the contract without legal cause: If you break the contract without mutual consent with your listing agent and their brokerage, they may come after you for any incurred expenses. Whether in reality you would be pursued by the agent’s brokerage for that lost commission or expenses is another story. Brokerages don’t want bad PR. However, it is something you should definitely discuss with a real estate attorney. 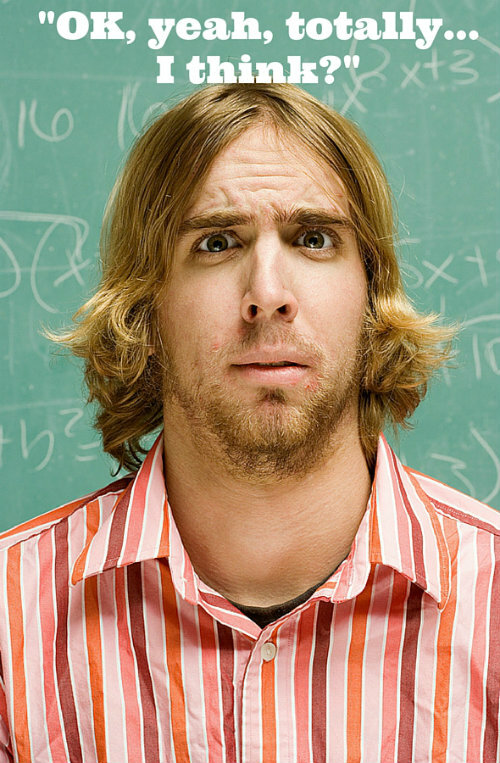 Your Realtor is not an attorney nor are they allowed to give you legal advice. Even more so the agent you're trying to ditch. 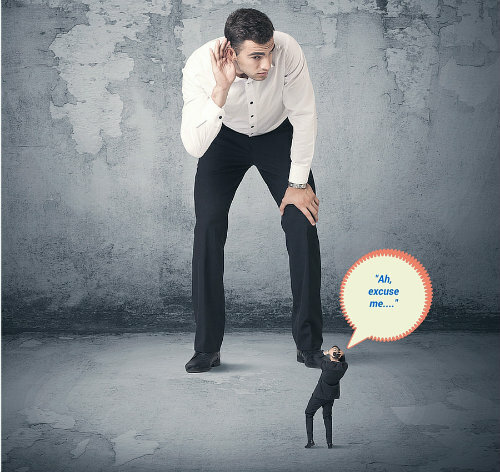 The best solution is to avoid hiring a bad agent in the first place! Ultimately, the responsibility for choosing a bad real estate agent lies with the seller. Spend some time researching who you want to sell your home. If you can spend a month researching your next big screen TV purchase you can definitely spend at least that much time picking your listing agent. It can make the difference between your home sitting on the market or selling quickly for potentially thousands of dollars more. Home sellers, when there's a giant incompetent elephant in the corner of your room that could be costing you thousands of dollars, don't pretend it's not there. It's YOUR home. Don’t be afraid to complain if you do get bad service. You have my permission. Here's some great additional resources for home sellers. The complete guide to selling your home from Andrew Fortune. And from Kyle Hiscock, The top 10 mistakes home sellers should avoid.